With the beauty of fall upon us, there is a word only whispered for fear its mention might bring on its early arrival. But winter is inevitable, and the maintenance required to survive it is best done while the trees are still changing and there’s no snow on the ground. Waiting can be the difference between a convenient timeline, and being one of many in line for a coveted spot at New Sudbury Volkswagen and Audi. And if you’re thinking, “Why worry?” then take a moment to think not only of the safety issues you may encounter on a blustery winter night, but also of those bitter moments trying to get an unwillingly vehicle to even turnover. Whether you plan to stick with all seasons — or choose winter tires as MacNeill recommends — the tread should be checked for wear. Testing the battery to ensure that it is strong is important — especially when it is five years or older — as is testing the block heater, and cabin heating systems. A thorough examination of the brakes, checking to see if they are sticky or seizing, is an essential part of ensuring you stay safe on the roads when it’s hard to even find it. Fluids also need to be checked, including coolant, but also oil. A common problem in vehicle engines is the build-up of water, and depending on your driving habits, the system may not have the ability to flush that extra water out. Water means lubrication is inhibited, and that cold weather will bring corrosion, and expansion when frozen. Extra water elsewhere in your vehicle will also mean miserable mornings. A good battery and oil change will bring you some luck, but if you haven’t changed your pollen filter, your cabin filters, if you have a chip in your windshield — or even have a summer floor mat instead of a winter one — you’re on your way to a very foggy windshield every morning, when even simple changes can mean getting out of your driveway faster. This is why your best bet is to have your vehicle serviced by an experienced service technician, like MacNeill. There are so many small details in the finite workings of you vehicle, and so many things that could go wrong, that having a trained eye service your vehicle is what will get you both through the winter. If you have trouble with your vehicle in summer, you enjoy the sunset while you wait for help, if it’s winter, well, that’s a much different story. So don’t wait for those first snowflakes, as much as it is hard to say the word winter. Your future self will thank you, most likely on a bitter and miserable winter morning. 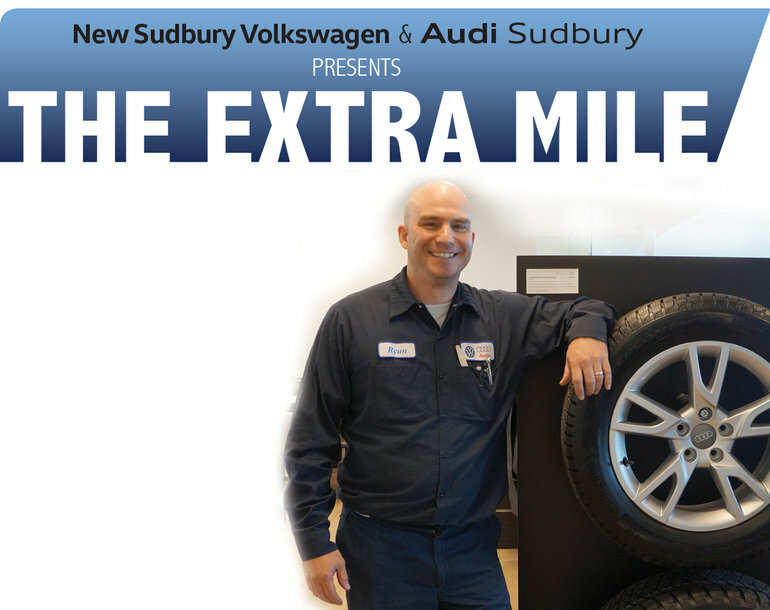 Visit New Sudbury Volkswagen and Audi’s beautiful showroom at 1593 Lasalle Blvd, or book your winter maintenance appointment online at www.newsudburyvw.ca, or by calling 705-566-8170.